Apple will launch an upgraded version of its Apple TV set-top box later this month with support for 4K HDR streams. Before you buy, check out all the specific in this video. For those of you who currently own an Apple TV, is there a compelling reason to choose the 64GB model over the 32GB? I'm not a gamer, and have my iTunes content on my iMac. Thanks in advance for your help. I have a couple 3rd gen Apple TVs. What I really want to know is whether Amazon’s video app is available on Apple TV (4th gen or 4k) yet? Using AirPlay to stream that content is getting pretty old at this stage. There was a news blurb earlier this year stating that it would come to Apple TV this summer. 4K and HDR is all nice and good - but if Apple TV can’t support what’s arguably the second biggest streaming service, it’s increasingly hard to justify that $170 price tag. Amazon has been twiddling its fingers working at getting Amazon Prime ready for Apple TV. This isn't Apple's fault, it's Amazon's. Apple announced Amazon Prime would be on the Apple TV later this year. For what it's worth, people who have both Netflix and Amazon Prime say Prime's catalog stinks even though Netflix's catalog is getting worse every year. Everything I need to know? 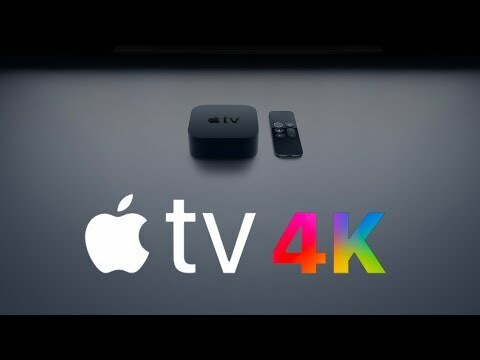 It it did not confirm whether the Apple TV will support 4K HDR streaming via AirPlay? It's too bad the new Apple TV won't support Dolby Atmos. A 179 dollar way into an A10X sounds pretty intriguing. I'm wondering if teardowns will find any extra cooling over the old version. It's now actually both more performant and cheaper than the Nvidia Shield, unlike with the A8 one. That also means it's more powerful than the Switch (and twice the memory bandwidth!) funny enough. Never needed the 64gb...since my cordcutting led to [primary] Playstation VUE and [secondary] SLING. VUE's cloud dvr works well enough that we don't go for the added cost to SLING. Ordered the Gen5 4K w/32gb. We have a 4, with 32GB. it's been enough for a few games and the media apps (Netflix, Hulu now with Live TV, and a few others). There really is still a shortage of games that really stress the device. A lot of developers were put off by the initial requirement to fully support the horrendous Siri Remote. Although that has changed, until Apple really "encourages" game controllers along side ATVs then there will still be a lack of really platform pushing content there. There really is still a shortage of games that really stress the device. A lot of developers were put off by the initial requirement to fully support the horrendous Siri Remote. Although that has changed, until Apple really "encourages" game controllers along side ATVs then there will still be a lack of really platform pushing content there. The ATV is a complimentary platform to iOS, so it's more about the growth of games that support controllers within iOS primarily. I think that's starting to hit more of a mature phase now, as you've got some really good wireless and connected controllers available from 3rd parties. ATV's selection of games that can be played with a standard controller is better than most people think, and it continues to grow.